GREATER TORONTO – “Location is everything.” It’s a favourite saying in the real estate industry, and tends to be true – whether you’re working with a seller or buyer, the value of a property is largely determined by the area that surrounds it. For new agents, one of the best ways to build a strong professional brand is to focus on specializing in key neighbourhoods. Not only does this make it easier to optimize your digital presence and target your advertising; it also ensures a more seamless experience for interested buyers who are picky about locational factors like nearby schools, transit/highway access, or shopping and dining. Luckily, in the age of the internet, those factors are easier than ever to familiarize yourself with using tools like Google Maps – although there is really no substitute for taking some time to explore the area yourself. With that in mind, we decided to share a few “key factors” to watch out for when you’re not looking to sell buyers on just a property, but also on the area surrounding it. Stress-free transit solutions – for all types of commuters. 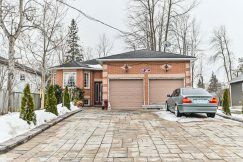 Distance from a nearby expressway, such as the Don Valley Parkway or Highway 401, is a feature you’ll see on just about every urban MLS listing here in the GTA. Because many buyers are reliant on cars for their commutes, that information should be your first priority, too. Major intersections nearby are also a key piece of information. Keep an eye out for nearby points of public transit access – especially to rapid transit connections such as the Viva Rapidway, TTC subway system, or one of GO Transit’s high-speed commuter lines. These are a huge bonus for buyers, especially those who work in urban areas where parking is at a premium. Bike lanes and dedicated cycling trails are another local perk– especially in downtown areas – as they keep things safer for those who may want to get exercise by leaving the car at home. Walkability: Embracing the New School of Urbanism. Lots of Greater Toronto’s most popular real estate neighbourhoods – for example, Toronto’s Kensington Market and Mississauga’s Square One – got that way by offering plenty of staple services and amenities within walking distance, as well as pedestrian-friendly infrastructure to help environmentally-conscious residents get around without their cars. In more urban neighbourhoods, pedestrian features to watch out for might include scramble intersections, public plazas (e.g. Mississauga’s Celebration Square), or dedicated pedestrian walkways like Toronto’s downtown PATH network. One of the best ways to get a feel for a community’s walkability is to head over to WalkScore.com and search for the neighbourhood by name or postal code. The WalkScore algorithm measures walk route times to nearby amenities, and uses those times to calculate a total score out of 100 (although they also offer scores for biking and transit, if that’s what your clients prefer!). Know the “hotspots” – nearby shopping and dining destinations. For discerning mature buyers and young professionals alike, another huge factor when considering a home is its proximity to trendy shops, restaurants, cafes, and nightlife. Since street-front retail properties tend to have a high turnover here in the GTA, the best way to discover trendy (or classic) spots is by exploring on foot. Your brokerage may also offer information resources about key local neighbourhoods, for the benefit of both yourself and clients. 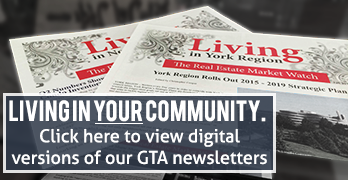 To see an example, we encourage you to check out GTA Real Estate News’ Neighbourhood Profiles section – regularly highlighting Greater Toronto’s finest live-work-play communities since early 2013.